With so many apps available on the Google Play Store, it can be hard to find the one you want. That's why we've put together a list of the best free apps in several useful categories. Some of them offer in-app purchases, but they only make it onto this list if the free version is worth using in its own right, and we've just added six new apps for you to try out. 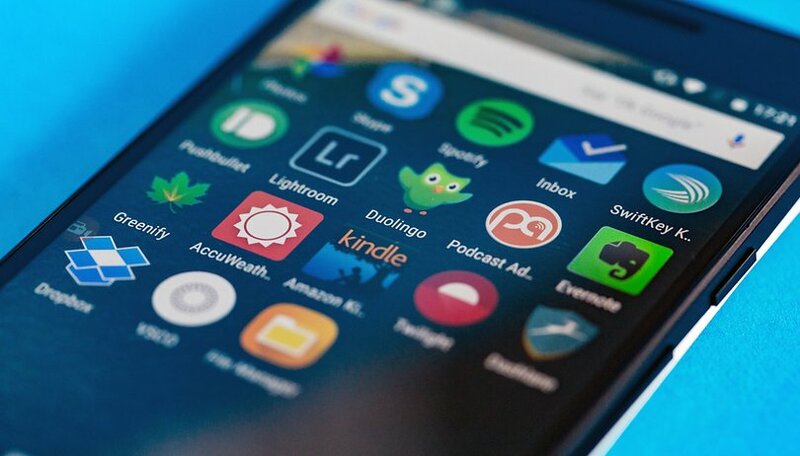 In this list you'll find apps that are free permanently once you install them. Sometimes certain functions are locked until you make a payment, but with the ones below we've ensured that the free functions and features are the best, and can be used to a good extent. Don't forget to leave a comment telling us your thoughts and recommendations, and for further research, we recommend the tips and the end of the article. Your favorite browser is a bit of a personal thing and depending on what you want out of that, you may well have a different favorite. That said, if you don't already have a favorite and want to try something other than Chrome, Firefox is worth checking out - particularly if you use it on the desktop too, as it'll sync your tabs and history. It's highly customizable and puts the same emphasis on privacy and open source as its desktop counterpart, so it's hard not to recommend it. It's also entirely free. One of the classics among the launchers is also available for free: Nova Launcher. For some functions, you have to buy the prime-unlocker for a fee, but the basic functions can also be used like this. Above all, the high performance has a positive effect on many a manufacturer's UI attachment. If you are looking for a free but recommendable messenger, you have found it with Signal. Signal supports classic text chats as well as voice and video calls. Its encryption is considered extremely secure and so the signal protocol is also used by competitors such as WhatsApp or Allo (only for incognito chats). What's the difference between Signal and other apps? There is no need to worry about data protection. Even Edward Snowden swears by this app. Best free grocery shopping app: Bring! Bring! Is basically a digital shopping list with an appealing design and assistance with searching for individual products. Recipes will help you with research and add the ingredients you need to the list all in one go. The brochures including special offers at your supermarkets will help you to save money, and you can set up several different lists and invite your friends or family to your individual shopping list. For a long time, the go-to music player on Android has been Winamp, for its huge range of features and different options. That, however, makes it a little overly complicated to use for a casual listener, and it looks a bit retro too. Phonograph is the opposite in terms of design, and brings a simple flat Material Design approach to your music. There aren't endless pages of options to scroll your way through but there's enough for most users and, more importantly, it's really simple to use. If simple isn't what you want, then Winamp is the one to check out. Open source fans should be happy with Amaze File Manager: The file manager is free and provides full access to local files on your phone or tablet. Of course, you can manage your memory card with Amaze. There is an additional App Manager, with which you can manage, save or uninstall your applications. When it comes to security for your precious device, you can get top-notch protection without spending a penny. Sophos has a great record from independent watchdogs such as AV-Test. There aren't even any ads to annoy you, because Sophos makes money from B2B sales instead. Malware protection is based on an online database that also checks the reputation of individual apps and recommends alternatives. Sophos has a varied feature set, incorporating child protection filters, call blockers and device encryption and more. It also includes anti-theft features that allow you to remotely control your smartphone via SMS from other phone numbers you've previously specified. For many people, Google Calendar probably offers enough functionality and convenience that you'll never need to look around for an alternative. If, however, you fancy a change of scenery and a few additional features, and all still for free, then DigiCal is well worth checking out. The free version of DigiCal has a decent range of features, widgets, and calendar views to organize your schedule in a way that makes sense to you. You can view by day, week, or month and set widgets to make information available without the need to start the app. In-app purchases exist for extras like weather forecasts, or the DigiCal+ that adds extra view modes such as year view, even more widgets and themes, and also removes ads. Waze is the best free navigation app because in addition to searching for the best route based on distance, it also takes into account the current traffic congestion along your route. It does this by crowdsourcing real-time congestion information from its users, allowing you to save time by avoiding construction and traffic accident delays in the busiest parts of the city. It also has the option to change the voice to several funny alternatives, and it can warn you when you're speeding. Another great feature is that it can sync with your calendar so you don't have to type in addresses. It's a tough call between two experienced apps for best free photo editor, but Snapseed (now owned by Google) just beats VSCO Cam. As well as long-standing Android app pedigree, 25 different filters, support for JPG and RAW DNG files, image tuning controls and a bunch of other tools (like Bokeh blurs, glow effects, etc.) that are really easy to use, it's also entirely free, which is where it beat VSCO, as that app charges for some filters. Video editing is a tricky category if you're looking for a fully-featured app with a whole bunch of different options, but still don't want to spend any money. Kinemaster is a good compromise for this, if not the one with the most features. For free, you get a super-easy video editor that supports images, clips, music tracks, screenshots and other types of content. Quickly throwing together a video is a quick task, along with editing it and setting it to one of the pre-installed themes. The downside, however, is that you'll have a small watermark unless you choose to pay for a subscription to the service. For anyone willing to pay a little money to get a lot more manual control over the resulting videos, PowerDirector is worth checking out, or if you want an even simpler video maker, there's Quik, which is free to use for short videos. If you want a massive amount of options for capturing your pictures, and a whole lot of manual control over the settings, AND you want all that without ever paying any money, then Open Camera is well worth a look. Is it the best designed UI? Nope. Is it the easiest to use? Not even close (it's not hard either, though). But what it does is offer most of the common tools you could want when taking snaps on your phone, including things like time and location stamps, a burst mode, and a really handy widget for the home screen that opens the app and captures a picture with a single press. There are other camera apps with more features available, but you'll have to pay for many of them, whereas Open Camera is totally free. There's a donation version of the app if you want to show your appreciation to the developer though. ReadEra is a fast and versatile document reader that's great for ebook fans. It can open and read EPUB, PDF, DOC, DOCX, RTF, TXT, DJVU, FB2, MOBI and CHM file formats. The app automatically recognizes these types of files on your device and saves your place so it's easy to pick up where you left off the next time you open the app. Overall we found the presentation to be easy on the eyes, and best of all, there aren't even any ads to get in the way of your reading! Ok, there are a lot of good free games for Android that we really love, but if you only have space or time for just one, then Pixel Dungeon stands out for bringing potentially hours of fun for free. Totally free, without even any ads, although there is an option to donate to the developer to show your appreciation. The gameplay itself is rather straightforward fantasy-themed dungeon exploring in the 'Roguelike' genre, where the death of your character is permanent and randomly generated paths and enemies abound. Despite the difficulty, there are enough options and surprises to keep you trying again and again. Sometimes a developer will offer their premium (paid) app for free on the Play Store for a brief time. Great, but the Play Store is such a crowded marketplace that you're not likely to notice. That's where AppHoarder comes in. Essentially, this apps keeps a list of paid apps that are temporarily free on Google Play. The app doesn't control for quality, and while you're not likely to find something you want every day, occasionally a real steal will turn up and you'll be glad AppHoarder brought it to your attention. Free apps can definitely be good. Developers can genuinely make a good source of income through affiliate links or banner ads, and other apps may come from developers who don't rely on any profit from the app. These are both positive examples. However, what we don't want to see in a free app is content that encourages the deliberate or accidental opening of an advertisement, things that may monitor your market or user behavior or apps that may otherwise disrupt the smooth running of your device. It may not seem like it, but the Play Store is actually monitored and maintained. Individual apps can be categorized into Android Excellence apps. The list is constantly updated and includes mostly mainstream apps, but there will be the occasional one you've never heard of. What were your favorite apps of the year? Do you agree with our choices, or do you have some favorites of your own? Let us know in the comments below! The contents of this article have changed since it was originally published. The comments below may have been left in response to a previous version. snapseed is a very good application for me. I found the article very helpful. Thank you Nicholas Sir. Some free lifestyle category apps which I recommend are "Journey", "Alarmy" and "Daylio". I use waze for some of my commute needs and I also sometimes use Nova launcher. I have also used Microsoft to do which is also free for my to-do list and Google keep for notes and other info I want to be able to find again. I use sendleap to access my texts on a tablet or pc. it is completely free. has a web interface and desktop apps, even on Linux. I Like Signal, I only heard very good opinions. And for navigation, Waze is perfect! My top pics for this list are Malwarebytes, VSCO, Adobe Lens, Snapseed. My main applications: Firefox, Microsoft Laucher, Waze, Open Camera, Office Lens, and a few of the less important. Free does mean free, not that you can pay extra to unlock more features, like with Nova Launcher, yes I know you say there is the option to pay for the extras, BUT it is not a free proggy. For best free launcher you really should make it Microsoft Launcher. It's way more feature packed than Nova's free launcher. I have been using Waze for a long time and I am very pleased that I am aware of road events or other unforeseen incidents. As for Signal, I installed it but I can not understand how it works, because it's basically an SMS application and not messaging. I'll look for other applications. Wow, how do you get to have Microsoft and S.H.I.T. in the same article? More on playstore any reason for that? I got a lot of information about apps, Your article is extremely helpful and has great information. I value your endeavors and all the best. It's exceptionally helpful data. I will sit tight for your next post. Keep It up. Hi, All The Apps Is Good. But Security Apps One of Most Important For Everyone. So, Everyone Should to Used Good Security Apps on Their Android Device. Thanks For Review here. here maps and google maps are different recommendations?